On Sale Now! 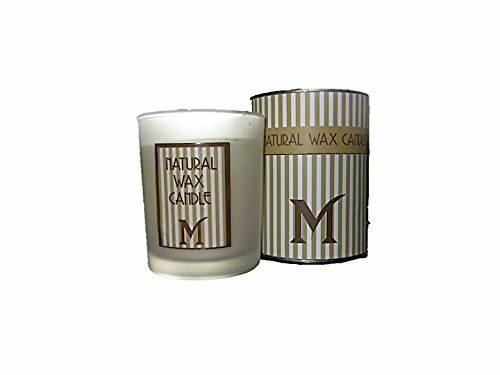 Save 5% on the Maghso TCTB Natural Soy Wax Thai Bliss Therapy Candle by Maghso at Thai City Deals. MPN: TCTB. Hurry! Limited time offer. Offer valid only while supplies last. 100% Natural wax candles made especially for spas and times of serenity. Light your Therapy Candle and enjoy the glow and relaxing soft scents. Light your Therapy Candle and enjoy the glow and relaxing soft scents. This candle is 200 gm of natural wax. Available Fragrances: Thai Bliss/Thai Spa. We specialized in producing high quality, handmade and decorative candles, Pillars, Hurricane Lamps, Aqua Gel, Therapy, Wellness Candle for Massage and many other items. All our decorative candles are made from natural dried flowers, fruits, herbs with paraffin, natural waxes and fragrances that deliver style to your home and inspire various moods and ambiances. If you have any questions about this product by Maghso, contact us by completing and submitting the form below. If you are looking for a specif part number, please include it with your message.